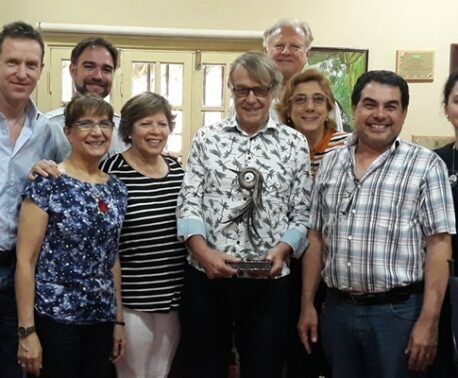 Guyra Paraguay, World Land Trust’s (WLT) partner in Paraguay, has celebrated its 15th anniversary. Guyra marked the anniversary with a special publication which included testimonials from international experts including WLT patron Sir David Attenborough. WLT has worked in partnership with Guyra since 2004, and joins the rest of the international conservation community in sending congratulations. The word Guyra means ‘bird’ in the language of the indigenous Guaraní people of Paraguay, and in 1997 Guyra’s founding mission was to conserve endangered birds by identifying and protecting the most important bird habitats. Guyra started small. In its first year, the organisation had a budget of just $5,000, but lack of funds did not hold it back. With the support of the RSPB in Britain, a strategic plan was drawn up, and from that point on the Guyra team set about carrying out bird surveys and mapping, important work that was to lay the foundations for the country’s Biodiversity Database. In the course of 15 years since then, the Guyra team (including students and volunteers) has surveyed more than 500 different sites and made 150,000 recordings of 1,600 species of vertebrates. 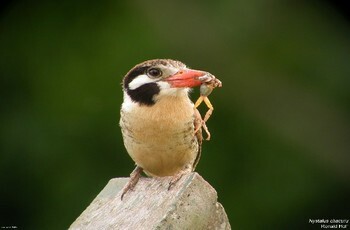 Today Paraguay has 57 Important Bird Areas (IBAs), a testament to Guyra’s great success. One of Guyra’s greatest feats is the preservation of San Rafael, the last remnant of Atlantic rainforest in Paraguay. Over a ten year period from 2002, acre by acre, Guyra has saved 17,393 acres (7,039 ha) of rainforest in the Guyra Reta Reserve. This painstaking work in San Rafael involves careful consultation with key stakeholders: only two months ago another 677 acres (274 ha) were purchased, which will protect the ancestral territory of the Mbyá People. WLT (with particular support from corporate supporter Ocean) provided funding together with the Jensen Foundation through the Forest of Hope programme of BirdLife International, and World Land Trust-US. 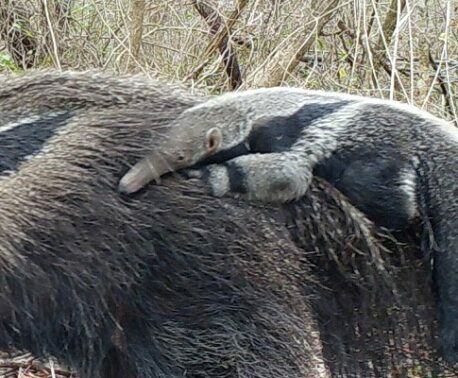 WLT is currently working with Guyra on the Paraguay Forest Conservation Project, a large-scale REDD+ project with funding from WLT corporate supporter Swire Pacific Offshore Operations Pte Ltd.
WLT is also supporting Guyra’s work in the Dry Chaco through Keepers of the Wild. Guyra Paraguay was founded at a meeting in Asunción on 20 November 1997.